Affinity At Serangoon, which sits on the former Serangoon Ville site, is set to be unveiled this weekend. The show flat will be opened for preview on the 26th May 2018 (Saturday). Oxley Holdings has bought Serangoon Ville (currently known as Affinity at Serangoon) in Serangoon North Avenue 1 for $499 million. 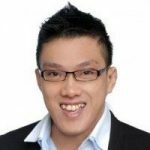 It has been brought in a joint venture by Oxley-Serangoon, which includes major partners like Oxley Holdings, Lian Beng Group, Apricot Capital and entities of KSH Holdings and Heeton Holdings. The joint venture will pay an amount of $195 million for a 99-year lease of the acquired property, Affinity at Serangoon. The value of the property after additional charges and the purchase price becomes $835 per sq ft per plot ratio. The total covered area of the property equals 296,913 sq ft, which is placed on a triangular shaped land piece. Located on Serangoon North Avenue 1, future residents of Affinity At Serangoon can have access to basic amenities at Blk 152 Serangoon North Avenue 1. There is NTUC Fairprice, coffee shops and many other shops to serve the basic needs of the residents living nearby. It is just a 7 minutes stroll away. Alternatively, there’s also the famous Serangoon Gardens with Chomp Chomp and My Village Lifestyle Mall or NEX Mall, which is a 5 minutes drive away. For parents, Rosyth School and Zhonghua Primary School are both within 1km from the development. For convenience, there will be a 1-year free shuttle bus service to Serangoon MRT station. It is interesting to note that all rooms will be able to fit in a queen-sized bed. This is a development with a huge land plot. It will come with many facilities including tennis courts, a rather rare occurrence nowadays. There’s also going to be 5 shops that will give added convenience to the residents of the compound. For families who want to be in the Serangoon neighbourhood, this can be a good consideration. Not forgetting the proximity to good schools and the quiet environment will make this a good place to stay. The only gripe is that it is not near to any MRT. The developer by providing a free shuttle service hopes to soften this impact of inconvenience. If your sole consideration is to buy as an investment, my opinion is that there will be a considerable challenge securing tenants. This is in view of other condos which can offer better proximity to public transportation. 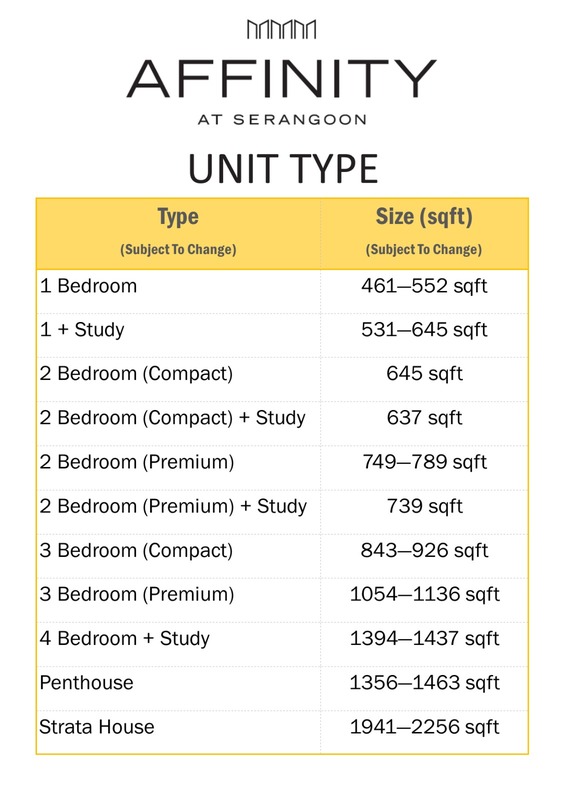 If you would like to make an appointment to visit Affinity At Serangoon show flat this weekend or perhaps get more information such as the brochure, floor plans and price, do visit the Affinity At Serangoon official developer sales website.